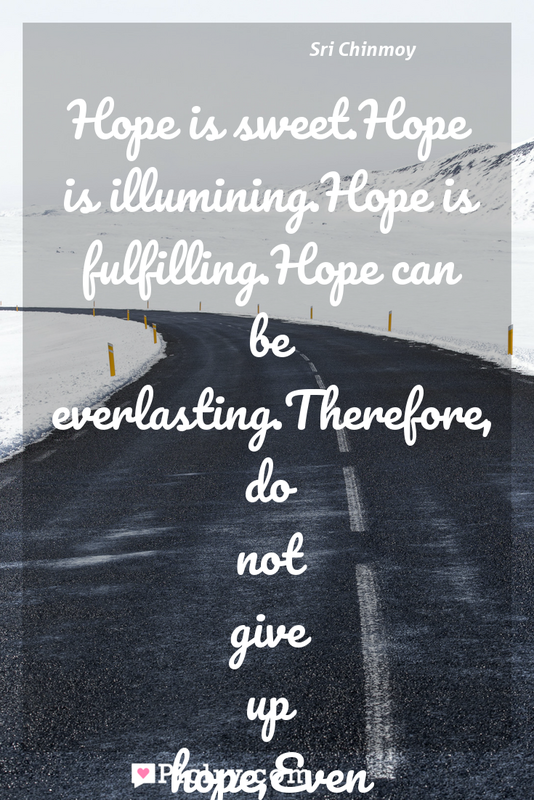 Meaning of Hope is sweet.Hope is illumining.Hope is fulfilling.Hope can be everlasting.Therefore, do not give up hope,Even in the sunset of your life. Meaning of Hope is sweet.Hope is illumining.Hope is fulfilling.Hope can be everlasting.Therefore, do not give up hope,Even in the sunset of your life. Quote by Sri Chinmoy.